 Reform Physical Therapy tailors each visit to the personalized needs of the individual client. Clients are treated in the comfort of their own home, without having to go to a gym or clinic. Women have an emotional and physical need to stay fit during pregnancy and to return to an active lifestyle postpartum. Through rehabilitative techniques and exercise, Reform Physical Therapy enables women to stay as active as possible during this unique time of their lives. Customized program that adapts as needed so you can reach your rehabilitative goals. Reform Physical Therapy was founded by Dr. Abby Bales, a mother of two and a lifelong athlete. Services designed to be offered in the comfort and convenience of your own home. We cater to your time. Don’t worry about nursing schedules or a crying baby. Using manual therapy, therapeutic exercises and activities, and neuromuscular re-education to achieve the unique goals of each client. Our approach focuses on all systems of the body with an emphasis on movement patterns.